Luis joined CRP as CEO in October 2016 and oversees the entire operation of the organization’s administration, fiscal and program implementation. He has lead the management team into successful expansion of new programs and contract opportunities. He serves a seven-member board of directors overseeing a six-county operation with 120 employees. He has extensive experience in managing government programs and, in the private sector, has 22 years of experience as an executive in the Banking and Financial Services industry. Luis managed a state-wide Community Development operation for Washington Mutual and JPMorgan Chase. There he was responsible for community development investments to communities throughout the Western Region for Washington Mutual. He also was part of the Acquisitions and Merger teams that strategically planned growth in new emerging markets across the United States. He has collaborated with numerous nonprofit community organizations, throughout the state, focused on economic and community development initiatives and investments during his banking tenure. Before entering the banking industry, Mr. Sanchez successfully operated a financial planning and investment business with New York Life Insurance Company for nine years. During the economic downturn and housing crisis, Mr. Sanchez assisted in setting up a successful home modification program with NeighborWorks Sacramento for the Central Valley to help homeowners avoid foreclosures. He has served on boards of numerous state, regional and national community organizations fostering better collaborations with local government and the private sector. Luis received his Bachelor’s degree from California Lutheran University in Political Science and Business Administration. He also attended Western State University Law after college before working in Sacramento. 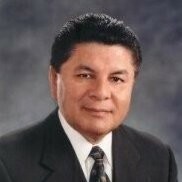 He serves on nonprofit boards and is currently the Chairman of the United Way of San Joaquin County, a member of the San Joaquin County General Hospital Foundation Board, Board member for the San Joaquin County Revolving Loan Fund, Treasurer for the Mexican American Hall of Fame, and is on the Steering Committee for the Capitol Region Climate Readiness Collaborative. He continues to participate with other local nonprofit organizations giving of his time and effort to improve our communities.